Where is Snow in California? Okay, okay ….so it’s nothing like East Coast Winters, but hey, some parts of California do get some serious snow. And the newbies who don’t prepare for it will be sorry. On the winter vacation travels be prepared for almost anything, especially in snowy Sierra’s & Northern California. When does winter actually ‘set in’ for California? 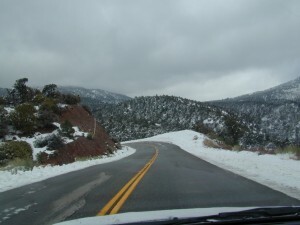 The following mountain roads are partially closed or totally closed during winter months. Always check road conditions before you leave for your trip. Snow Chains may be required! this list above will be continue to be updated this winter, on a 56k dial connection. yep, crazy huh?